government – Latest Venture news. Using credentials they stole along the way, the hackers broke into the networks of the Democratic Congressional Campaign Committee days later. By stealing the login details of a system administrator who had “unrestricted access” to the network, the hackers broke into 29 computers in the ensuring weeks, and more than 30 computers on the DNC. The operatives, known collectively as “Fancy Bear,” is made up of several units tasked with specific operations. Mueller formally blamed Unit 26165, a division of the GRU specializing in targeting government and political organizations, for taking on the “primary responsibility for hacking the DCCC and DNC, as well as email accounts of individuals affiliated with the Clinton Campaign,” said the Mueller report. In all, some 70 gigabytes of data were exfiltrated from Clinton’s campaign servers and some 300 gigabytes of data were from the DNC’s network. Meanwhile, another GRU hacking unit, Unit 74455, which helped to disseminate and publish hacked and stolen documents, pushed the stolen data out through two fictitious personas. DCLeaks was a website that hosted the hacked material, while Guccifer 2.0 was a hacker-like figure who had a social presence and would engage with reporters. More than a dozen staffers were targeted by Unit 26165, including a senior aide. “It is unclear how the GRU was able to identify these email accounts, which were not public,” said Muller. Mueller said the Trump campaign made efforts to “find the deleted Clinton emails.” Trump is said to have privately asked would-be national security advisor Michael Flynn, since convicted following inquiries by the Special Counsel’s office, to reach out to associates to obtain the emails. One of those associates was Peter Smith, who died by suicide in May 2017, claimed to be in contact with Russian hackers — claims which Mueller said were not true. The Mueller report has been published. It was posted at 11am ET, a month after Special Counsel Robert Mueller submitted his findings to the Justice Department examining Russian interference in the 2016 U.S. presidential election. We’ve uploaded the final redacted report here. You can read below. 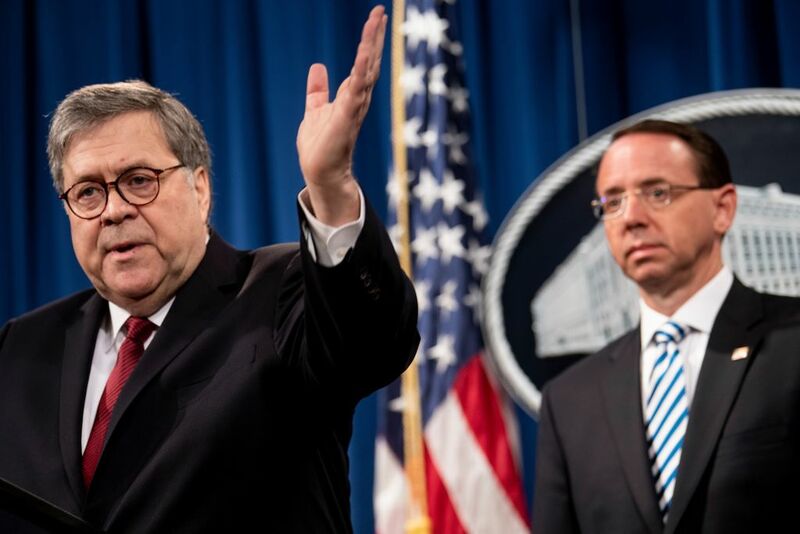 You can follow along with TechCrunch’s coverage of the Mueller report, and read more about how and why we’re covering it.